These are ideal for two - four lines of text. 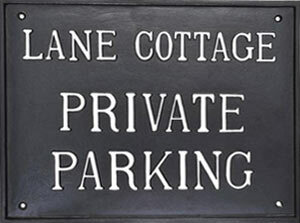 These rectangular house signs, nameplates and plaques are made from aluminium which does not rust or corrode and is designed to last a lifetime. 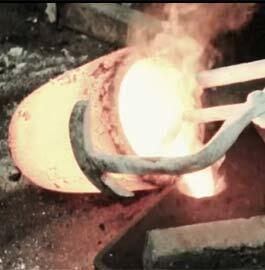 They are hand made in the UK foundry from start to finish. To achieve the raised lettering and a high relief motif each sign is individually cast using the traditional sand casting process. 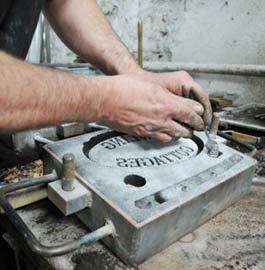 Once the mould is made the foundry-men pour the molten metal into it to create the plaque or sign. After cooling, the mould is broken open and the sign removed. It is then cleaned, primed and powder coated. Finally the lettering and motif are hand painted. These are ideal for one of text. Suitable for one of text. 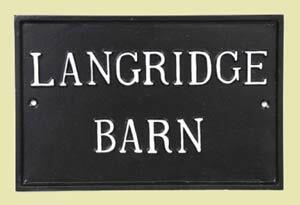 As well as house signs they are very suitable for gate signs or stable name plates. Price includes 40 letters or characters. For extra letters ask for a quote. A railings bar can be added One bar is sufficient for most signs. If you opt for the rear fixings for a spike there are various size otions as list below for the spike itself. 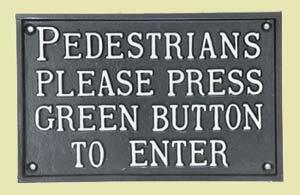 Sizes are approximate and depend on the sign. Our designers have a lot of experience in laying out the wording and motif in the best possible way. However if you have any ideas of your own - just let us know. Made in the UK. 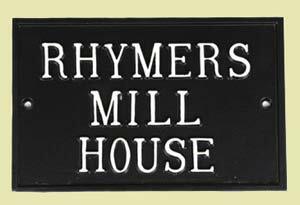 Our team at The Sign Maker looks forward to helping you with your cast metal plaque or house sign.